There is a worldwide consensus that a sustainable culture of innovation will depend on more young people being interested in the future of science and technology. This interest must be nurtured and developed at a very early age through formal education in schools as well as informal education exemplified in science centers, children’s museums and science parks. Science Centers and Museums are facilities dedicated to furthering the public awareness and understanding of science among increasingly diverse audiences; they encourage creativity and spark interest in the world around us. For a science center to really achieve its goal of the democratization of science, it is obliged to follow the dynamic and ever-changing pace of science and technology. The most effective way to do so is through opening up to the fast developing world and cooperating with similar establishments regionally and internationally. It is for this reason that science centers networks were established all around the world. Some of the networks are: ASTC, ECSITE, Red-POP, ASPAC, SAASTEC, NCSM, and China. 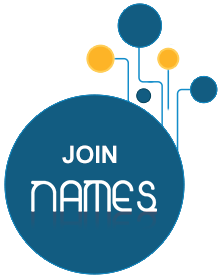 NAMES was created to provide professional development for the science center field in North Africa and the Middle East region. NAMES aims to promote best practices, to support effective communication and to strengthen the position of science centers within the community at large. NAMES aspires to encourage excellence and innovation in informal science learning by serving and linking its members in the Middle East and North Africa and advancing their common goals. The goals of NAMES are to be achieved through excellence and innovation in informal education and by offering hands-on activities where the public can indulge in participatory learning.